"JustB did our engagement photos and they turned out awesome! She really captured who we are as a couple and our love and excitement in this moment in our lives and we had such a hard time picking what shots were our favorites because we had so many favorites!! 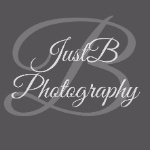 I definitely recommend JustB for wedding photography needs because her professionalism is outstanding!" Charity has been capturing precious memories of our family for a couple of years now! She has done our Christmas pictures the last 2 years, as well as my youngest son's newborn and 1-year pictures. And we love them all!! She always comes with unique ideas for poses and props, and is always willing to try any crazy ideas I have as well! Each session she was fully devoted to making sure she left with shots that really embodied who we are as a family and memories that we want to hold onto forever. We love JustB and look forward to many more sessions in the future! "Charity and her sister were so great to work with for our maternity session! We are so pleased with how they all turned out! She had such great ideas for poses and truly captured our joy and excitement during this time in our lives. Looking forward to booking them for more family sessions in the future when our little boy arrives!"